Browser speed is an important factor to get a better browsing experience. Mozilla firefox is such a good browser, probably the best on the field. But, sometimes the firefox shows some lags in performance and some stuck. This is not a big problem which can’t be solved. Speeding up mozilla firefox is discussed several times on various websites. But, doesn’t pay out the expected results. 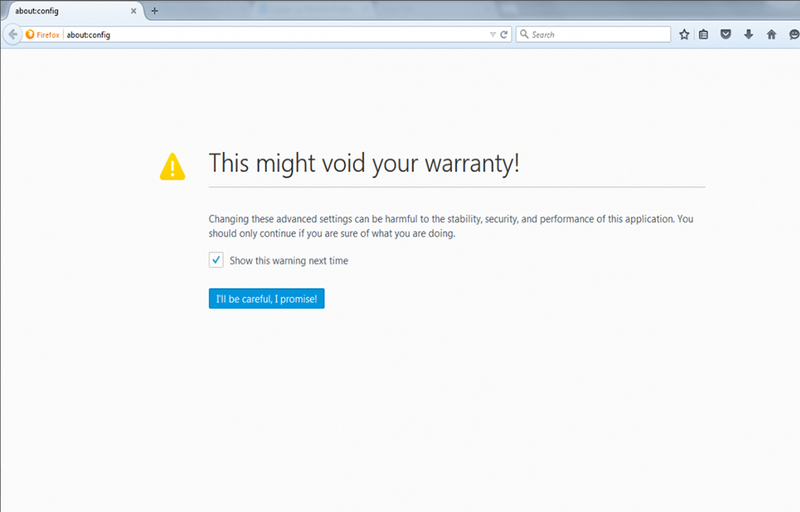 Today we are giving you some working tweaks which can speed up Mozilla firefox browser like never before. By following these steps, you will surely get some better browsing experience and speed than any time before. So, let’s have a look at the methods to speed up mozilla firefox browser. “network.preftech.next” is a Mozilla function which automatically prefetch the links likely to be visited. So the firefox automatically downloads the files in that link to give an immediate response while the user visits that link. This may be useful if you have a big bandwidth or high-speed internet connection to load the web pages fastly. If you are a medium-speed broadband or network user, this won’t sounds good. It can considerably decrease the speed of your browser. So, Follow the steps given below to disable this option to get a better speed on mozilla firefox. 2. On the address bar, type about:config and hit Enter. 3. Now, you will see an error window as shown below, which saying that, any changes made to the settings may cause some problems to the stability of the browser. This is just a warning message because we are trying to edit some advanced settings of the browser. So, don’t worry about it. 4. Click on the button “I’ll Be Careful, I Promise.” You may also uncheck the “Show this warning next time” to not to show this warning message the next time you are trying to access the configuration again. 5. The configuration window will pop up and there might be a search box. 6. Type “network.prefetch-next” on the search box. 7. It will show a window like below with the “network.preftech-next” option. 8. Double click on the option to change the value to “false“. 9. Confirm the action if prompted. Now, you have disabled the prefetch option. Now, onwards the links likely to be visited will not be prefetched by the firefox. Thus, you get a better browsing speed. There is a specific amount of RAM set for the Mozilla firefox to operate. The system will limit the resource usage to that amount. Though, while you reach that specific limit due to a number of opened tabs and processes on the browser, Firefox will show some lags in the performance. By configuring the settings and the value of the amount of RAM to be used, you can set it to fit your needs. Follow the steps given below to do that. 4. Type “browser.cache.disk.capacity” on the search box. 5. Double click the “browser.cache.disk.capacity” option. 7. In the window, you can enter the value of the RAM to be used. By default it will set to 358400 (If you have a RAM >1GB). If your RAM is less than 1 GB, set the value to 5000. Thus, it will use a very low amount of RAM without affecting the system performance. If you have a RAM of 1GB or 2GB, you can go with the current value. If you have a big amount of RAM of 4GB or 8GB or greater, you may consider increasing the value. You can set any value in accordance with your RAM amount. But be sure to focus on the system performance too. Allocating too much can cause the PC to respond slowly while running the firefox. If you prefer to decrease the amount of RAM to be used to increase the system speed. You can do that also by decreasing the value. 8. Click OK after entering the value. 9. Now, we want to create a Boolean parameter in the about:config page. This will help to free up some amount of Memory while your browser is in Minimized mode. Though, it will not take that much memory as it is on the Maximized mode. 10. To do this, Right-click anywhere on the about:config page. 12. 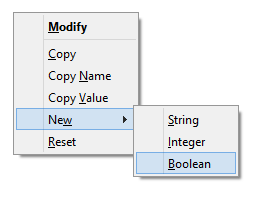 A text box to set the boolean value will pop up. 13. Enter “config.trim_on_minimize” on the text field and click OK.
14. Select value “true” if prompted or you can set the value to true by entering config.trim_on_minimize to the about:config search box as we done before and double clicking it to set the value to true. Now, The memory used while the Minimized mode will be lower than the memory used while on the Maximized mode. 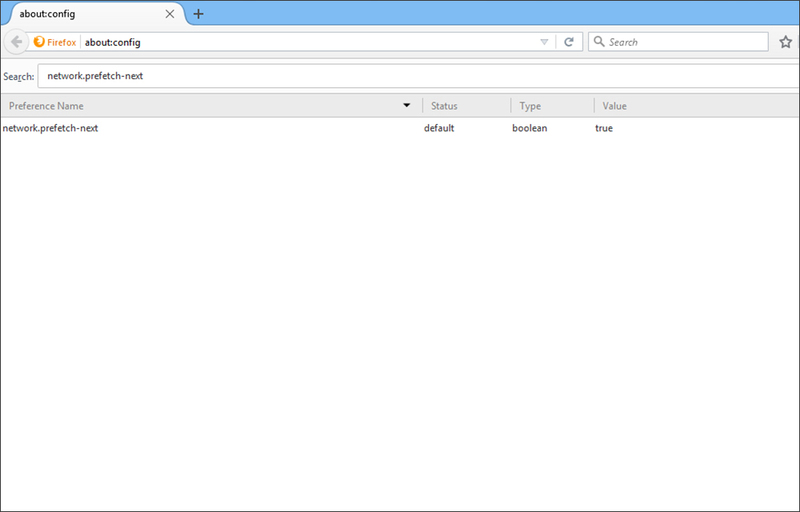 Pipelining is a firefox feature which let it open multiple connections to the server, thus, increasing the speed. By configuring it correctly, you can get a better speed on the browsing. For this, you need to search and tweak some settings on the config window. Search the following options and tweak them as instructed below. network.http.pipelining: Set its value to true by double clicking it. network.http.pipelining.maxrequests: Double-click it and enter a value within 10 to 13. You can set any value less than a billion. But it doesn’t mean it is safe to set that much value. This value is the number of simultaneous connections you requesting to the server of the websites. The more you request, the faster page will load. But, it will use a very high amount of bandwidth of that website and slow down that website you are trying to enter into. This may cause the websites to ban you from accessing it to make their website faster. The more connections can also cause a higher amount of RAM usage resulting in slow down. So 10-13 is an average and safe one to provide a better speed without serious problems. network.http.proxy.pipelining: Double-click it and set the value to true. If you have done all of the above tweaks successfully, you will definitely experience the speed change in your upcoming browsing sessions. We hope these methods helped you. If so, let us know through your comments, we are always happy to hear it from you.